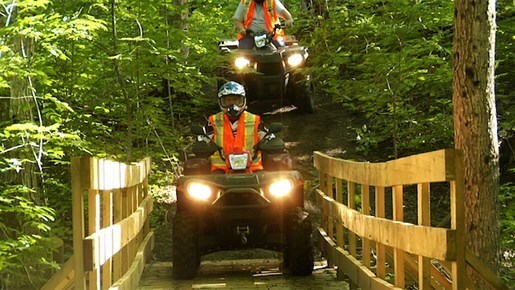 In the the 2014 ATV season, I set off to discover the most awesome ATV trails in Ontario. Over the course of 4 months I visited five different trail systems throughout Ontario and tested, learned and dissected every trail system I rode. I sunk my tires into each one, always finding something different to set each club apart. I also met lots of wonderful organizers and volunteers who are just as crazy about four wheeling as I am. 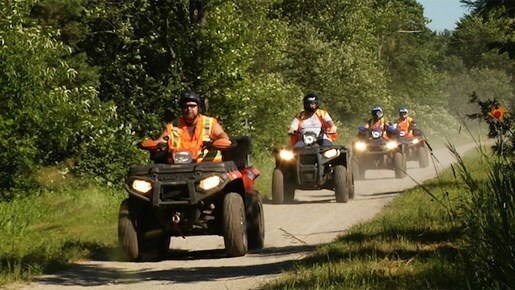 The very first trail system I visited was the Central Ontario ATV club (COATV). This trail is located 15 minutes north of Barrie. This proximity to the GTA sets it apart from every other trail system in the province. The trails were, for the majority, very easy going with sandy sections and smoother trails for the whole family to ride. 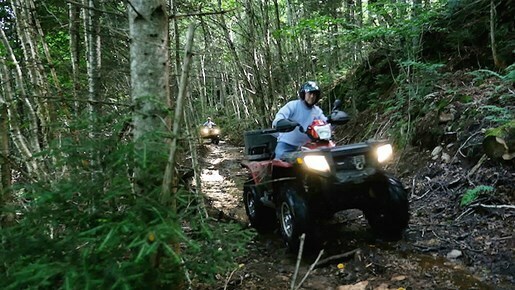 There were also trails for riders who prefer a challenge with muddy and deep water sections as well as some rougher rocky trails, which can make for a good opportunity to test your ATV’s and skills out without being overly extreme. Overall these trails could be ridden by any adult rider with ease. They’re perfect if you’re looking for a good ride and to enjoy a day on trails. The next trails I checked out were the Eastern Ontario Trails Alliance (EOTA) located all over Eastern Ontario stretching from Havelock to Sharbot lake and from outside Belleville to Bancroft and beyond. The vastness of trails and geography it covered was like no other trail system in Ontario. You could ride hundreds of miles and never hit the same trail twice. Most of the trail system runs on an old abandon railway bed after the locomotive system was shut down and the tracks were removed. The EOTA was born but that’s just the tip of the iceberg. Most of the trails are easy going rail trails, smooth and scenic however there is another set of connected trails throughout the EOTA that gives much more of a challenge. Everything from mud, rock and some good terrain to play in the EOTA is a trail system that stands out and is something every ATVer should experience, especially if you like riding longer distances and exploring vast areas of land. 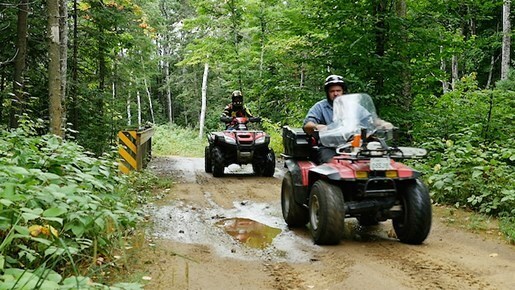 In the small town of Kearney just North of Huntsville lies a hidden gem for ATVing. 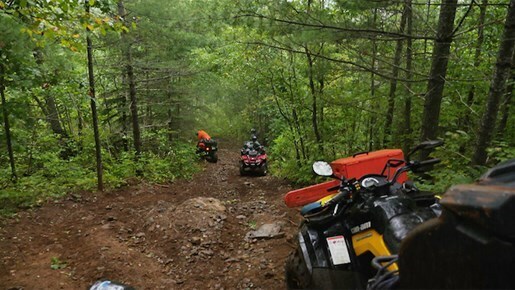 Over 350km of trails and some of the nicest scenery located just outside the western border of Algonquin Park is the Algonquin West ATV Club. These trails vary in scale and type. With the Canadian Shield poking out everywhere in this area, there is many challenging trails. Lots of muddy sections and tricky rock climbs as well as cool waterholes to put a rider and their ATV through the paces. This trail system was one of the more extreme riding I’d seen so far in my journey throughout Ontario, combined with some of the best scenery. If you loves a good challenge Algonquin is definitely a place to check. But the great thing about the Algonquin West trails is that even if you don’t love the rough and mud there are still a good majority of trails that are very easy going - and the scenery can be enjoyed by the family for days. One of the most scenic trails system that I rode this past year was located in parts of the Madawaska Valley and throughout Renfrew County. 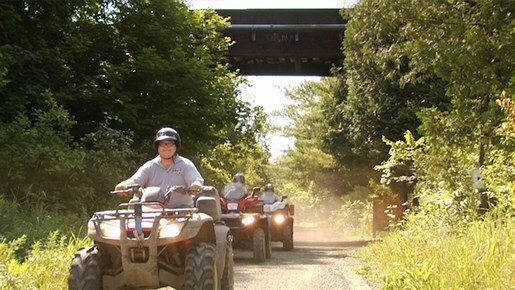 The Renfrew County ATV (RCATV) trail system. 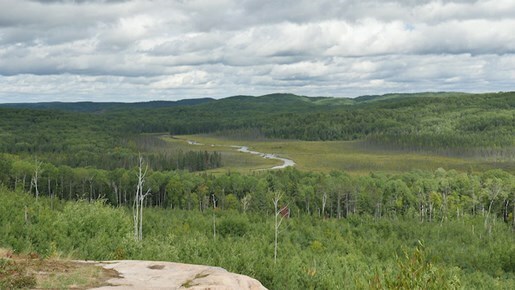 This is located on the eastern side of Algonquin and Barry’s Bay area. The trails are a non-stop beauty (the epic views over the lakes from the trail in my video is from this area.) Lots of pristine lakes, fast moving rivers and cool lookouts made for awesome eye candy as you toured the rail trails throughout the RCATV. This area is very big in other outdoor activities like fishing, hunting and canoeing, so if you use your ATV to get you and your gear into the wilderness this is the perfect place to do it. 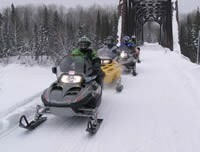 There is a large variety of very nice lodges to stay at in the area with easy access to the trail systems. The main trails are also located on the same abandon rail trails as the EOTA and is interconnected so if you are looking on doing a multi-day ride, RCATV would be a good place to start. In the ATV world it is very common for riders to push themselves and their bikes into challenging terrain. It is a big part of the sport and goes with most off road sports. It’s very hard to have both extreme technical trails and easy joyriding trails in the same network. I personally love to challenge myself and my ride. I believe It makes you a better, smarter rider and builds confidence in other aspects of life. The trail system that challenged me the most was the KATVA .It was a trail system that also had a little bit of everything from easy touring trails, to extreme hill climbs that you had to really give it gas and pick your lines. These trails were also Jeep friendly so if you or your friends like to ride their jeeps you can ride with them and other off road machines. 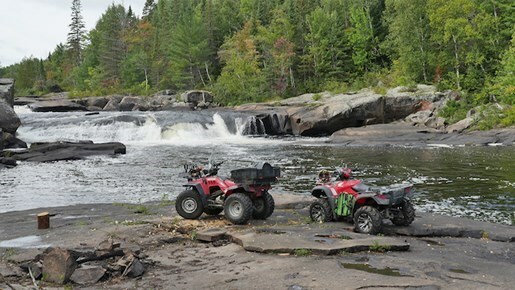 Kawartha ATV also has lots of muddy, rocky and deep water holes to play in as well. 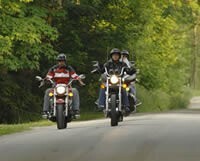 It is a trail system that you have a huge range of different terrain and has something for every rider out there. All the trails I visited this year were all very well maintained and had something for everyone. 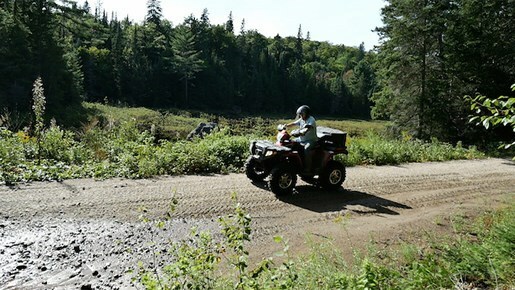 ATVing in Ontario has come a long way and is becoming more and more popular all over Canada. There are many other trail systems to visit, and you can expect me to head out in 2015 to capture them as well. If you’re an enthusiast and love to ride, these five trail systems should be on your ATV bucket list. If you are a new rider, thinking about getting into the sport, I would highly recommend all of them. There is no other sport quite like ATVing in the world. Everything from the trails to the volunteers or the riders themselves, everybody that rides loves it and are some of the nicest people on this planet. If you ask me, there is only one true way to see everything Ontario has to offer. And that is by ATV.